The Metropolitan Atlanta Rapid Transit Authority is Atlanta's public transportation system of trains and busses. Other regional transportation systems mesh with and overlap services with MARTA. 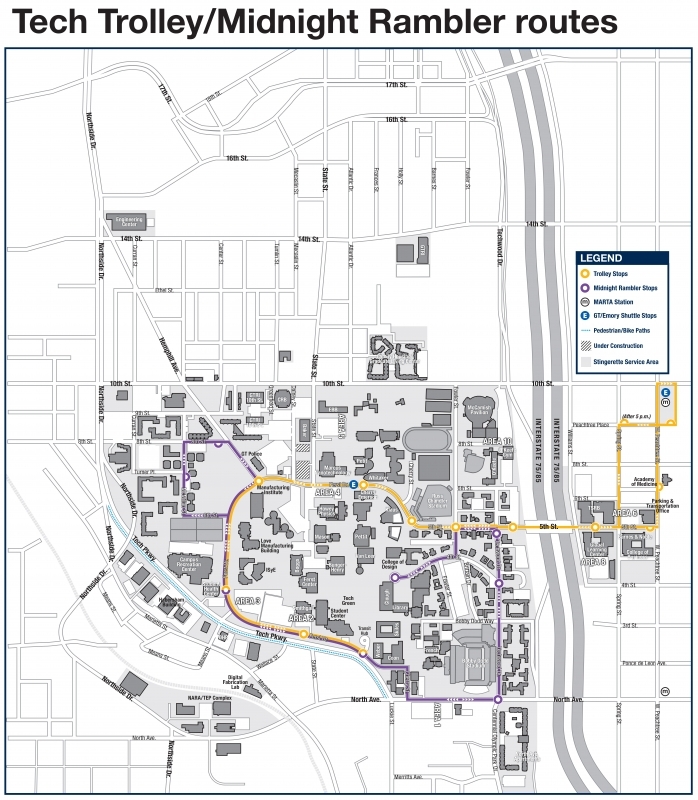 If your public transit trip to the Brook Byers Institute for Sustainable Systems finds you on the MARTA train system, the North Avenue (N3) stop and the Midtown (N4) stop are the closest. 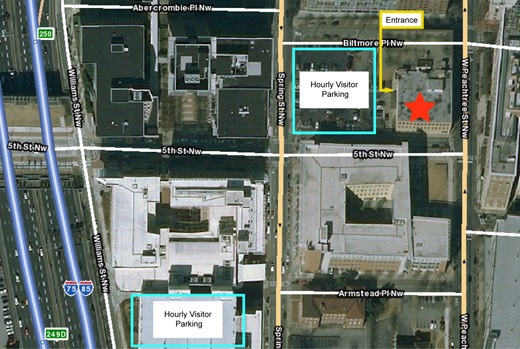 It is a short 5 block walk from the North Avenue Station to Tech Square. The Tech Trolley stops at the Midtown Station and will take you directly to Tech Square. Please also note that there is a MARTA rail station in the Hartsfield-Jackson Atlanta International Airport. Other useful online resources in planning your trip on public transportation include the MARTA Plan a Trip, the Tech Trolley's GPS tracking system on Passio GO!, and hourly car rental available throughout Atlanta with ZipCar.